Yesterday I was given a large plastic bag. 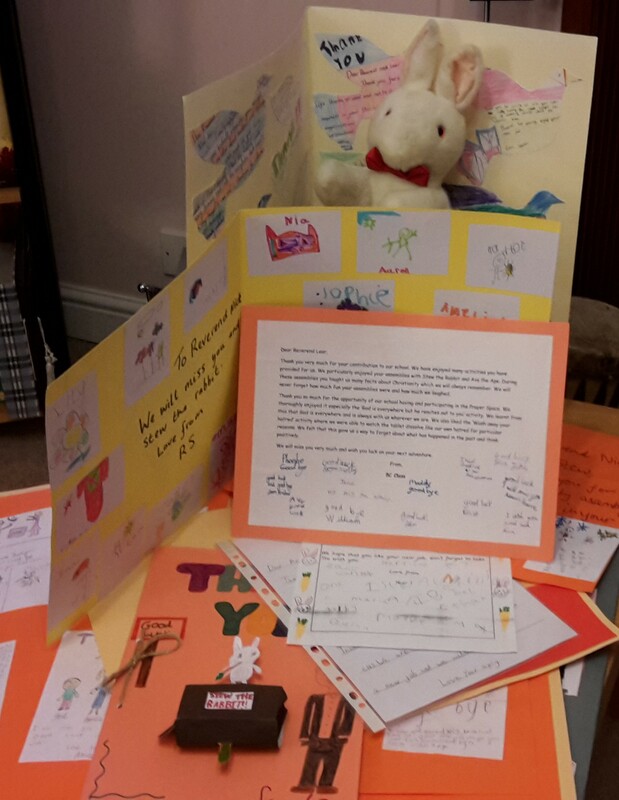 It contained lots and lots of cards and pictures and letters that children from a local school had made to say ‘thank you’ to Stew the Rabbit (and me) for supporting the school during my time at the church, especially the Assemblies. I was blessed and encouraged by the time that they had spent making the cards, drawing the pictures and writing the letters. I was blessed and encouraged by the kind ‘we’ll miss you’ messages – some were even for me rather than Stew! But most of all I was humbled and blessed by those who had thanked me for telling them about Jesus. That’s the main reason I went and it was so wonderful that they had recognised this and appreciated it. The church will continue to support and bless that school, but those children who wrote and drew and created had no idea how much they have blessed me. Stew will be writing a thank you note back! It reminded me of how important it is to say ‘thank you’ and how much something we might perceive as a simple act can multiply in impact in the life of the person on the receiving end. 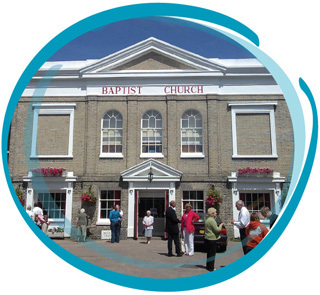 Last weekend was my last as Minister at Colchester Baptist Church. I want to thank everyone at the church for a wonderful send off. I had a lump in my throat the whole weekend, tears in my eyes occasionally and they’ve come back even as I write this bloggage. We had a party on the Saturday night – with games and party food and a magician (me). If you look on Facebook you may see some of the photos, but I wish to add a disclaimer – I had no control over what was happening most of the time! It was a fantastic party and it was lovely that so many people from the church (past and present) were there. Thank you to everyone for organising, contributing and coming to such a special time. On Sunday we had our usual two services, but with a difference. The first one had a very special time when my fantastic colleague, Lynsey, gave some gifts that underlined two consistent themes of my ministry (encouraging people to be good free samples of Jesus; and being blessed in order to be a blessing); gave Stew the Rabbit a carrot, and came closest to making my cry with a hug. Other people said nice things in the service (including a lovely poem by one of the children), Sally was given a bunch of flowers to mark that I was leaving but she isn’t for a while, and we were prayed for. It was very emotional. But with a lot of prayer, a few watery eyes, some deep breaths, an occasional squeaky word and some God-given composure I got through without breaking down in tears. I did feel like crying though! Then, in the evening, we had a Songs of Praise evening where we sang the church’s top ten Christian hymns and songs and heard from different people about why those songs and hymns were important to them. It was a very special day. Thank you to everyone for all that you did, for cards, gifts and kind words. I did lose my composure at the very end of the Songs of Praise when I tried to say ‘thank you’. But I am not surprised: the church means so much tome and I could not easily say ‘goodbye’. I was grateful that the organist played a long voluntary at the end so I could regain my composure! I had the privilege of sharing some last words with the church in the morning service and share them here with you. (Next week the sermon may be online on the church website if you want to listen to it – it may simply be called ‘fruit’). Time to go and find a hanky! 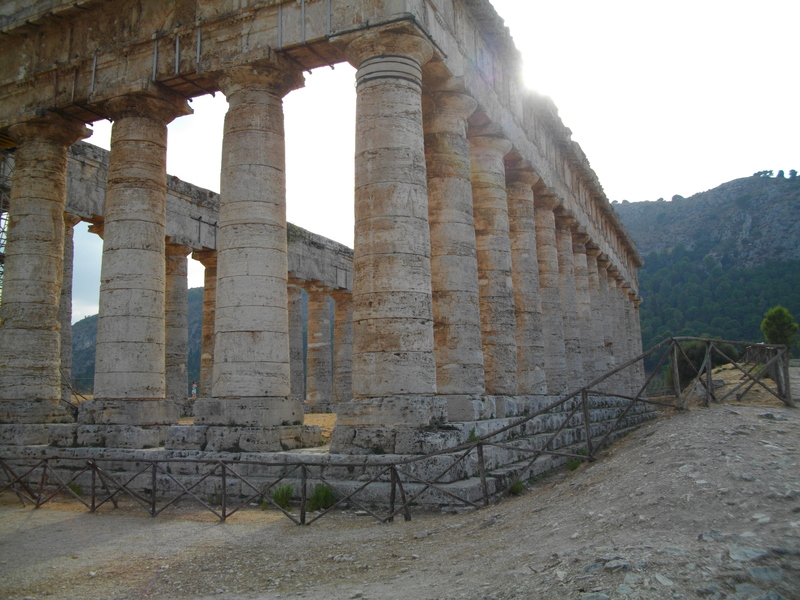 The passages in the Bible that I have been look at recently are about the Temple that King Solomon built. Well, let’s be honest, he didn’t build it himself. He gave the order and a team of skilled craftsmen and labourers set to work to build it. There’s no record of him even laying a ceremonial stone (have a look at many Baptist Church buildings in the UK and you’ll see stones laid by important people). His involvement in the building project was distinctly ‘hands off’. But Solomon “built the temple”! A couple of thoughts occurred to me. One was whether we can ever give enough credit to those around us whose work goes unnoticed and unrecognised until they don’t do it. We all notice soon enough if the streets aren’t cleaned or bins aren’t emptied. We’d all complain if they stopped repairing traffic lights when they break down. I have mentioned before that we don’t give a thought to those who work to supply us with electricity, gas and water until the supply is interrupted and then we don’t think about the hazards the repairer have to cope with to restore our comfortable lifestyle. You can apply that thought to churches. A second thought was whether we take too much credit for our own achievements. Listen to most acceptance speeches at awards ceremonies and you will hear a list of people ‘without whom…’ But what if you don’t get an award in which to share the credit? I was speaking with someone recently about the church I serve and was speaking very positively about it (meaning the people). And I realised that while I am one of the ministers in that church and I seek to serve, support, encourage and bless the people who are the church, the credit for what the church is like must go to the people allowing God to work through them and working with him. You can apply that thought to other environments (work, sport, leisure…). What have you built recently? Who didn’t get the credit? 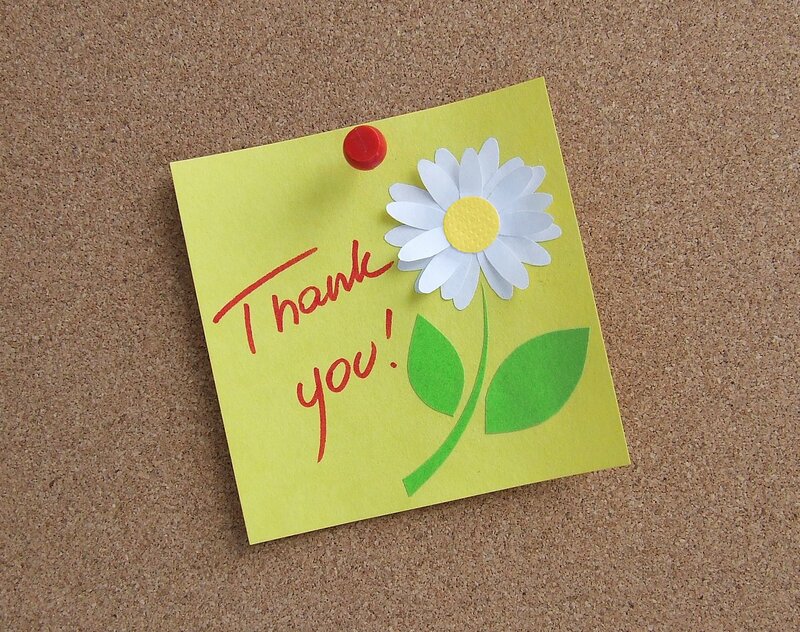 Why not see if you can find an opportunity to thank them?